Need gas but unsure of what type? Scroll through our gases page to learn which industries we serve and the specific gases you’ll need. In a pinch for welding products? We offer a variety of welding gases and welding products for both the professional, and self-proclaimed professional welders out there! We carry the latest brands that are up to code, and will keep you safe on the job site. Don't have time to pick up your gas? No problem! Find out if we offer same day delivery service for your location. Call today for quick and easy gas delivery. With a service area spanning from High River to Swift Current, our unique depot network offers professional gas and welding product solutions for the better half of the prairies. 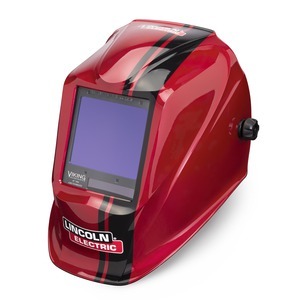 Sign up for our mailing list to receive an entry in our draw for this Viking® 3350 Code Red® Welding Helmet. The draw will take place on March 31st, 2019. We'll also send you a 10% off coupon to be used on your next order or in-store purchase. *Excludes welders and plasma cutters.